This is a light jazz track that will allow you to relax and immerse yourself in the world of inner feelings. This is a rhythmic track. The main tools of rhodes, trumpet, shock bass, bells, synthesizer. This is a loop that you can multiply the required number of times for the required length for your project. All my tracks can be used in many different applications including but not limited to: TV, movies, ads, trailers, radio, online video, web sites, presentations, promos and much more. Hello. Thank you for visiting my page. I invite you to view my collections and my portfolio, and I am constantly looking for something new and experimenting with sound, genre style. I work and try myself in cardinally different genres. In many of my works, I make extra loops that you can multiply the number of times your project needs. Thanks for the time spent on my page. If you have any questions or suggestions, write in private, I’ll be happy to answer. This is a rhythmic track in a light jazz style. There are such instruments as saxophones, piano, guitar, drums, percussion and bass. This is a loop that you can loop and extend the required number of times for your needs. This is a somewhat retro track. Listening to this music is a rising mood. Here the tools seem to be conducting a dialogue and each one tells their story in turn, while others respond to it. All my tracks can be used in many different applications including but not limited to: TV, movies, ads, trailers, radio, online video, web sites, presentations, promos and much more. Hello. Thank you for visiting my page. I invite you to view my collections and my portfolio, and I am constantly looking for something new and experimenting with sound, genre style. I work and try myself in cardinally different genres. In many of my works, I make extra loops that you can multiply the number of times your project needs. Thanks for the time spent on my page. If you have any questions or suggestions, write in private, I’ll be happy to answer. This is a rhythmically easy jazz track in which various instruments alternate lead the solo, while others help, and then take the initiative on themselves. The main thing here is the saxophone, which plays with bass drums. The track is mostly retro style. This is a loop that you can loop and extend the required number of times for your needs. All my tracks can be used in many different applications including but not limited to: TV, movies, ads, trailers, radio, online video, web sites, presentations, promos and much more. Hello. Thank you for visiting my page. I invite you to view my collections and my portfolio, and I am constantly looking for something new and experimenting with sound, genre style. I work and try myself in cardinally different genres. In many of my works, I make extra loops that you can multiply the number of times your project needs. Thanks for the time spent on my page. If you have any questions or suggestions, write in private, I’ll be happy to answer. This is a light, gentle jazz track that fits perfectly for your romantic projects. Made in retro style. This is a rhythmic track. The main instruments are rhodes, lipstick, percussion, bass, guitar. The lipstick tells the passion, other instruments answer her. This is a loop that you can multiply the required number of times for the required length for your project. All my tracks can be used in many different applications including but not limited to: TV, movies, ads, trailers, radio, online video, web sites, presentations, promos and much more. Hello. Thank you for visiting my page. I invite you to view my collections and my portfolio, and I am constantly looking for something new and experimenting with sound, genre style. I work and try myself in cardinally different genres. In many of my works, I make extra loops that you can multiply the number of times your project needs. Thanks for the time spent on my page. If you have any questions or suggestions, write in private, I’ll be happy to answer. This is a rhythmic funk jazz track using instruments such as saxophone, guitar, drums, percussion and bass. Perfectly suited for your various projects, movies, trailers. All my tracks can be used in many different applications including but not limited to: TV, movies, ads, trailers, radio, online video, web sites, presentations, promos and much more. Hello. Thank you for visiting my page. I invite you to view my collections and my portfolio, and I am constantly looking for something new and experimenting with sound, genre style. I work and try myself in cardinally different genres. In many of my works, I make extra loops that you can multiply the number of times your project needs. Thanks for the time spent on my page. If you have any questions or suggestions, write in private, I’ll be happy to answer. This is a light jazz work using live instruments. Here you will find drums, bass, saxophone, clarinet, guitar and piano. It’s an improvisation, tools seem to spill over and lead an ongoing dialogue. Each of the tools tells a world story, while others listen and answer. This is a loop that you can loop and extend the required number of times for your needs. 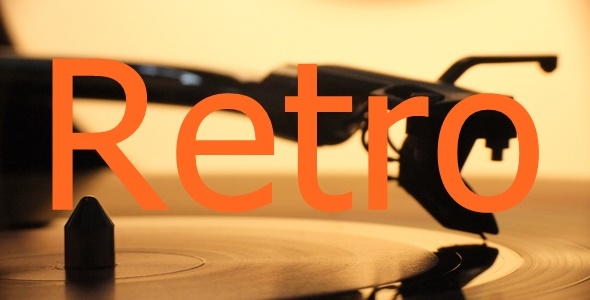 The composition is great for retro designs, movies, commercials, trailers and for easy listening to all jazz fans. All my tracks can be used in many different applications including but not limited to: TV, movies, ads, trailers, radio, online video, web sites, presentations, promos and much more. Hello. Thank you for visiting my page. I invite you to view my collections and my portfolio, and I am constantly looking for something new and experimenting with sound, genre style. I work and try myself in cardinally different genres. In many of my works, I make extra loops that you can multiply the number of times your project needs. Thanks for the time spent on my page. If you have any questions or suggestions, write in private, I’ll be happy to answer. And this composition uses such instruments as bass, clarinet, drums, piano, guitar, trombone. The composition is great for retro designs, movies, commercials, trailers and for easy listening to all jazz fans. Since there are loop files present, you have the opportunity to make the required track length for yourself. This is a light jazz game played on live instruments. All my tracks can be used in many different applications including but not limited to: TV, movies, ads, trailers, radio, online video, web sites, presentations, promos and much more. Hello. Thank you for visiting my page. I invite you to view my collections and my portfolio, and I am constantly looking for something new and experimenting with sound, genre style. I work and try myself in cardinally different genres. In many of my works, I make extra loops that you can multiply the number of times your project needs. Thanks for the time spent on my page. If you have any questions or suggestions, write in private, I’ll be happy to answer. This is a light jazz track, which is great for a variety of your projects. It combines retro and modern style. The basis is a saxophone, and other instruments are conducting a dialogue with him. All my tracks can be used in many different applications including but not limited to: TV, movies, ads, trailers, radio, online video, web sites, presentations, promos and much more. Hello. Thank you for visiting my page. I invite you to view my collections and my portfolio, and I am constantly looking for something new and experimenting with sound, genre style. I work and try myself in cardinally different genres. In many of my works, I make extra loops that you can multiply the number of times your project needs. Thanks for the time spent on my page. If you have any questions or suggestions, write in private, I’ll be happy to answer.